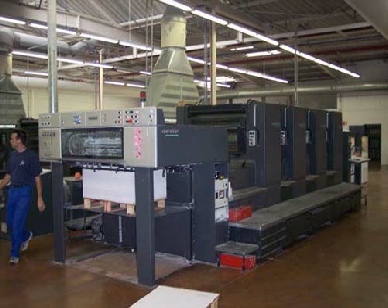 The printing industry requires high performance factory flooring. These floors have to be easy to clean yet resistant to printing inks both solvent and water based along with being able to take all the rigors of heavy traffic and movement of raw materials, finished products and machinery Epoxy Resin and Polyurethane flooring systems are particularly suitable for printing industry environments such as Packaging, Advertisement Literature and many other applications where a hard-wearing, attractive floor finish is required. Depending on the particular environment, both the epoxy resin and polyurethane systems are available as decorative finishes with properties such as anti-static, anti-slip and enhanced chemical resistance where necessary in the event of likely spillages and possible contamination from printing inks, aggressive liquids and chemicals. Anti-static flooring is available as conductive or dissipative as required where there is a risk of electrostatic charge build up and/or explosive or combustible atmospheres.